Will Apple TV 4K propel Apple into the big league of media streaming services? The cat is finally out of the bag. After months of speculation and rumours, Apple finally unveiled its list of new products. On stage were the iPhone 8, iPhone 8 Plus, Apple Watch Series 3 and of course the super-premium iPhone X. The iPhone X was the talk of the show as Apple introduced newer features such as edge-to-edge display, absence of a home button, facial recognition technology and wireless charging capabilities. While the iPhone X stole much of the limelight during the event yesterday, another big move for the Apple media ecosystem was the introduction of the Apple TV 4K. 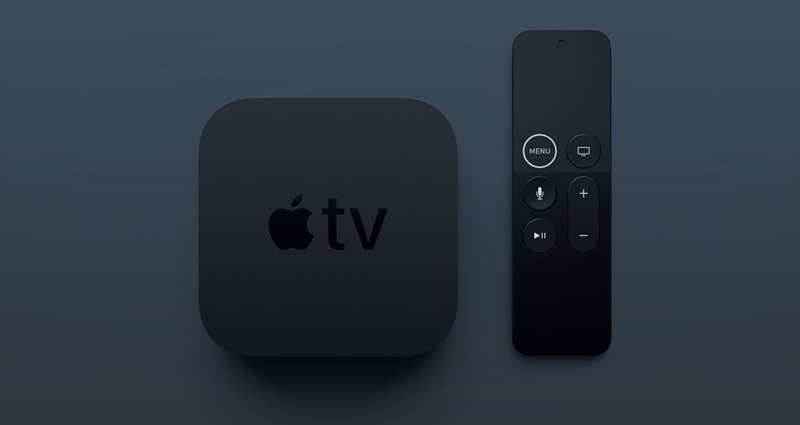 Until now, the Apple TV hasn’t been a game changer for streaming devices. More nimble competitors such as Amazon Fire TV, Roku and Google Chromecast already offer 4K and HDR streaming experience. With its upgraded hardware, Apple hopes to leverage its existing ecosystem of devices, apps and users to become a dominant player in the media streaming space. Apple TV 4K users will be able to watch 4K movies directly from iTunes, and get free upgrades for previously purchased HD titles. Apple will not charge extra for 4K HDR movies which gives a greater incentive to buyers. In addition, users will also be able to watch 4K content on subscription streaming services like Netflix and Amazon Prime Video. Apple is also in discussion with major Hollywood studios to bring the 4K versions of their movies on the iTunes store. Apple has also integrated its voice assistant Siri neatly with its Apple TV app. The app, which will be rolled out to 7 more countries including UK and Australia by the end of this year, supports more than 60 services on iOS devices making it extremely easy to discover and watch content. Siri has also been designed to easily find movies and TV shows in 4K HDR. The newly added capabilities to Apple TV come just at the right time as the tech giant makes a big push towards original video content. Owning hardware will give Apple a great leverage compared to other subscription streaming players such as Netflix, Hulu, and now even Disney. Only Amazon can give some competition to Apple in this space, but then again Apple’s hardware inspires more trust than Amazon. Another important feature that comes with the Apple TV app is the support for live sports. While the details of the its existing deals with sports services like ESPN are not clear, sports will definitely be a great value-add for Apple TV users. Add to it 4K and HDR functionalities, and the Apple TV 4K looks like an exciting buy for sports lovers who wouldn’t mind paying a premium for the ultimate viewing experience. More interesting to see would be the approach Apple takes with monetising its media streaming services. Will the Cupertino-based tech giant go for a pure-play subscription service like Netflix? Or will it look to bundle its subscription service with Apple TV 4K? Or will it go even one step further and launch its services free of cost and monetise through its range of smart home services in the future? The possibilities are endless! As Apple moves towards its vision of becoming the hub for the smart homes of the future, Apple TV 4K seems to be an important stepping stone! Guest article written by: The author has a keen interest in consumer technology and has published a lot of articles on various online platforms. He is currently a part of Cerillion Technologies, a London-based software company.